Deriving inspiration from its success in the Detergent Powder market, Nirma expanded its product portfolio by introducing the “Nirma detergent cake in 1987. Here again, the excellent price-quality equation tempted the consumers to try the product. Available in 125g and 250g pack sizes, this brand has done exceptionally well. To meet the growing aspirations of consumers and to offer them value-chain product portfolio, Nirma introduced Super Nirma Detergent Cake, in 1992. Deriving inspiration from its success in the Detergent Powder market, Nirma expanded its product portfolio by introducing the "Nirma detergent cake" in 1987. Here again, the excellent price-quality equation tempted the consumers to try the product. Available in 125g and 250g pack sizes, this brand has done exceptionally well. 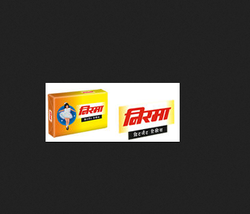 The positioning of Nirma Popular Detergent Cake is similar to that of Nirma Popular Detergent Powder. This product is available in 125g and 250g pack sizes, targeted to first-time detergent cake user segment. To meet the growing aspirations of consumers and to offer them value-chain product portfolio, Nirma introduced Super Nirma Detergent Cake, in 1992. Available in 125g and 250g pack sizes, this product, within a short span, convinced the consumers of competitor brands to switch their loyalty towards Super Nirma detergent cake.